Submit your own Grain Offer Contract! Today’s FFA members are the leaders of the future who will represent, grow and preserve our great industry. Heartland Co-op has partnered with the Iowa FFA Foundation to create a farmer-driven checkoff program in support of Iowa FFA. FFA truly impacts our cooperative, and the introduction of the Heartland Co-op FFA Checkoff is our commitment to providing a next level of support for Iowa’s FFA and agricultural future. Heartland Co-op has been a long-term supporter of the Iowa FFA Foundation on behalf of members. We have supported career development events, proficiency awards, event sponsorship and offer several scholarships to Iowa FFA members annually. Many of our own employees are past FFA members and credit their leadership skills and desire to serve others through the countless opportunities in FFA. We are proud to have drawn back former state FFA officers and even a national officer. Four of our senior staff began their careers as agricultural educators. Each small contribution from grain sold to Heartland Co-op by customers enrolled in the Iowa FFA Foundation Checkoff program will directly support the work of the Iowa FFA Foundation and its impact on the future of the agricultural industry and agricultural education. Contributions also have the future ability to be credited back to a grain customer’s local FFA chapter. 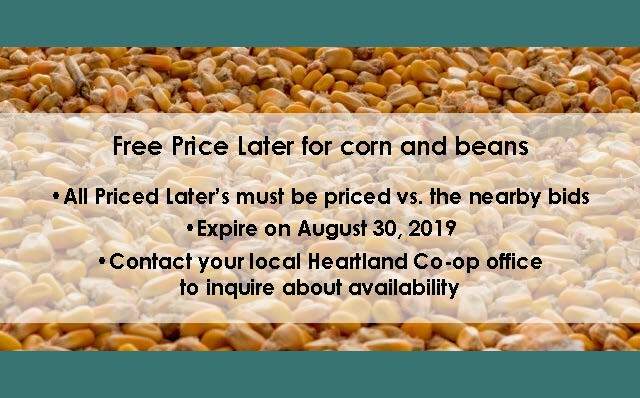 A 1/10 of a cent will be deducted from each bushel of your corn or soybeans sold to Heartland Co-op at the time of sale. The cooperative will in turn submit 100% of those funds to the Iowa FFA Foundation. Heartland Co-op will further enlarge this farmer-driven impact by matching the voluntary member contributions. Each deduction will be directed to support the diligent work of the Iowa FFA Foundation. As the organization which financially supports Iowa’s agricultural education, contributions impact a wide variety of programs, leadership development, career advancement and FFA specific resources. Together with other cooperative customers, this has the ability to become an immensely impactful amount. The program will begin January 1, 2018. Any funds given to the Iowa FFA Foundation are recognized as tax deductible. Please sign into your CUSTOMER ACCOUNT and complete the electronic signup of the FFA Checkoff. Click HERE to find the FFA Checkoff form. Please fill out the form in its entirety and send it to 2829 Westown Parkway, Suite 350, West Des Moines, IA 50266. Please be sure to note your local FFA Chapter on the form for future credit towards your local FFA members. Together, we can cooperatively make a tremendous impact on the future of Iowa’s agriculture. 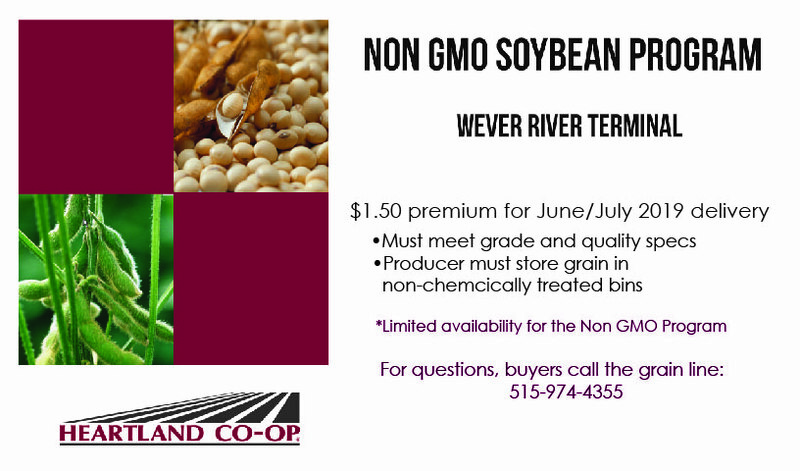 For questions or further information, contact Heartland Co-op’s Grain Department at 515-974-4355.